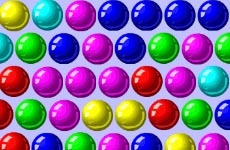 This is a popular achievement game with 10 incredible levels. Just as in most driving games, your objective here in the game is to make it to the finish line before everyone else. However, the driving situation are not very easy and your driving abilities ought to be very good for best results. Select the track and start driving. Earn points and make sure to be crash free although accidents are seemingly inevitable. Good luck!